Head over to Facebook and “Like” Tide. 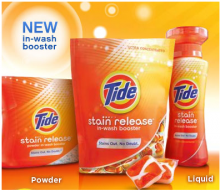 Tide will be giving away free Tide Stain Release samples on today, July 22nd at 12pm PST. As you all know by now, you have to be super quick to get a sample. They go very quickly so make sure you are ready right at 12pm! Offers Jul 22, 2011 in Facebook, free, samples, Tide · Expired! If you haven’t already registered for a free sample of Tide Stain Release tablets, they’re giving away 20,000 samples right now! Click here over to Tide to get yours, while supplies last! Since the Tide Facebook offer was a technical nightmare last week, Tide has decided to try it again tonight. They’ve also upped the amount of freebies they are giving away, that’s great for us! The Tide Challenge is tonight at 9pm ET/6pm PT. If you’re one of the first 150,000 people to register for the Tide Stain Release Challenge, you’ll be able to reserve a free sample for yourself and three of your friends. 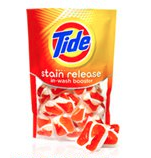 Make sure you “Like” Tide on Facebook to get this freebie. Offers Apr 4, 2011 in Facebook, free, household, samples, Tide · Expired! 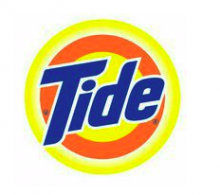 Today at 12pm PST Tide is giving away 5000 FULL SIZE bottles of Tide Stain Release. Head over to Facebook and “Like” Tide, then make sure you are super fast because these are going to go quickly! While you’re on Facebook, don’t forget to “Like” Frugal Day too! Offers Feb 17, 2011 in free, household, Tide · Expired! Head over to Tide’s Facebook page at 11:00 am today for a chance to get one of 5,000 Tide Washing Machine Cleaner packets. I’ve tried for this one before and I’m going to *try* again! Since they are only offering 5,000 this is going to go faster than fast so you really have to be quick. Offers Jan 26, 2011 in free, household, Tide · Expired!